Hands on the floor shoulders width apart. Back perfectly flat and aligned. Shoulders aligned with gluts. Chest goes straight down to the floor. No sinking hips. You must activate your core muscles in order to prevent hips sinking. 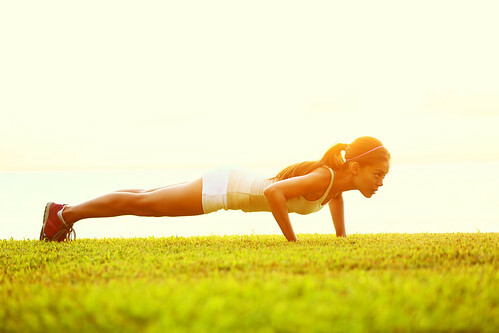 Press up whole body as one unit to full extension of your arms. Title: Pushups on the bottles 20 rep Amazing Kid !